Does Lee Myles have financing available? Financing is available to buyers through several lending institutions. Your Center Manager will be happy to help with the details. Aren’t professionals like Lee Myles more expensive? No. 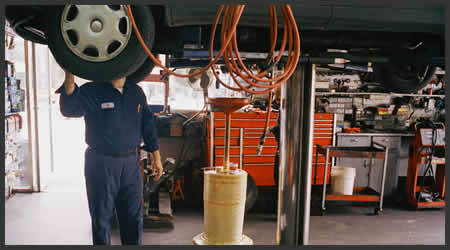 Lee Myles can save you money by diagnosing your problem correctly and fixing your transmission right the first time. All of our dealers offer the free Check 11 procedure to determine the extent of necessary repairs and many offer free towing to the center with a major repair. They will only sell you the repair you need to put your vehicle back in tip-top shape, nothing more and nothing less. How long will it take to repair my transmission? Minor repairs, services, and adjustments can many times be done immediately, while you wait. More major services involving the removal and repair of the transmission can take one or more days depending on parts availability and complexity. What types of warranties are available on major repairs? The standard limited warranty is 12 months or 12,000 miles, whichever comes first. But there are extended warranties available depending on the level of service chosen. Your Center Manager will explain all the details.